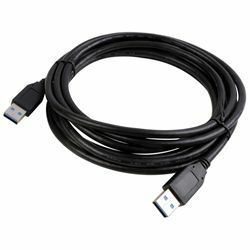 Extend your USB 3.0 connection! The USB 3.0 (4.8 Gbps) cable provides ten times the capability of USB 2.0 (480 Mbps). Works with any USB peripherals.